Choosing the right lighting for your home is very important because the style of your lighting can really affect the overall design of your home. 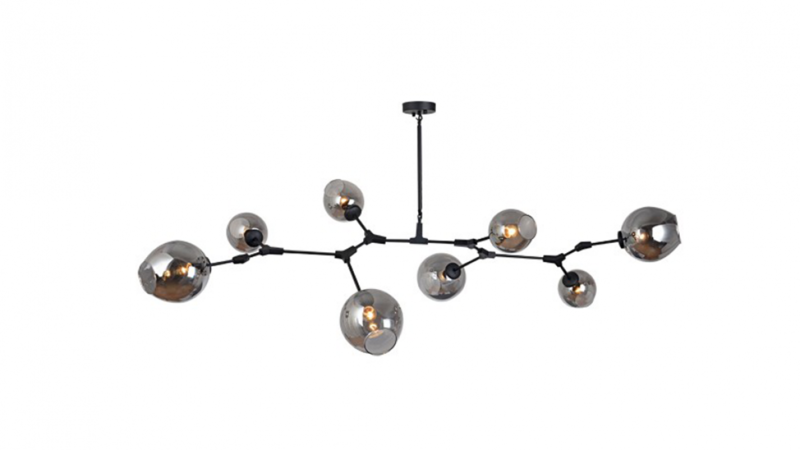 The branching bubbles modern pendant light is perfect for any modern home. 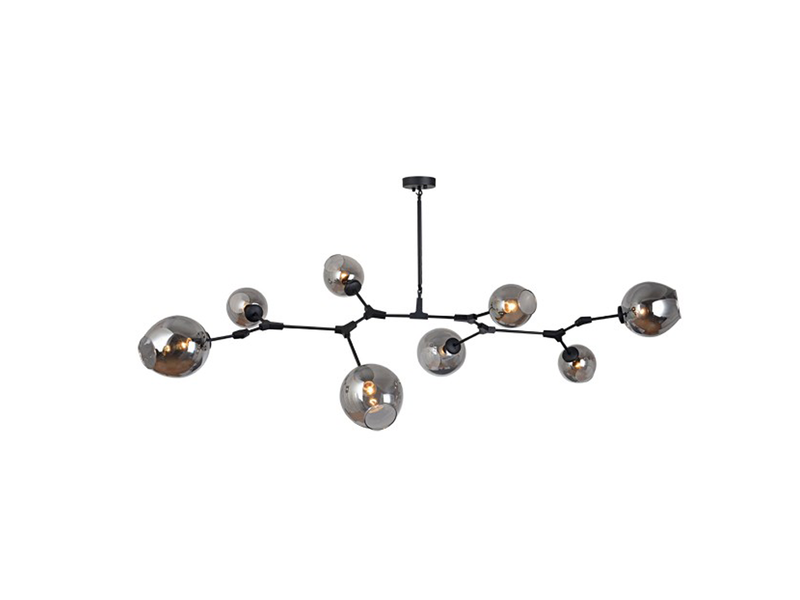 The unique and interesting style of this light is sure to add interest to any room. The colors available are black matt, chrome or gold matt. Your color choice will depend on your preference, the overall style of your home and any existing decor that is in the room. When you select the color you are selecting the color of the branches on the light. Black is a good choice of color if your home or the room you intend to install the light in features black accents. The black matt version of this light features light shades made from smoke grey glass. 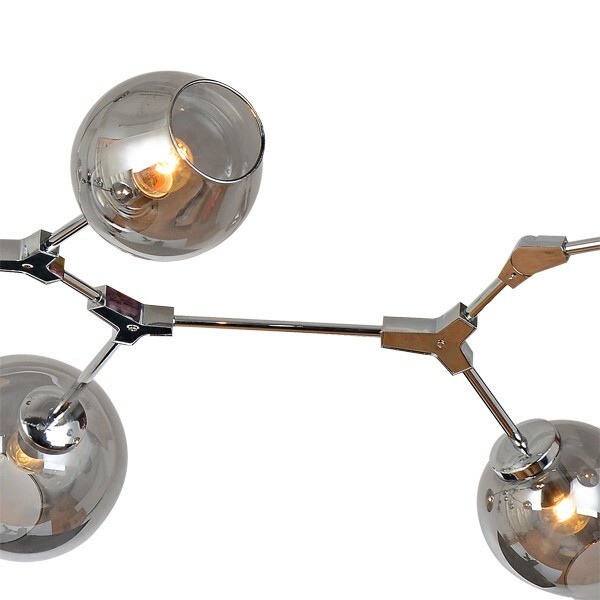 Chrome can work very well in any room with metallic based accents or when you want to minimise the color in the room. The chrome version of this light features light shades made from smoke grey glass. 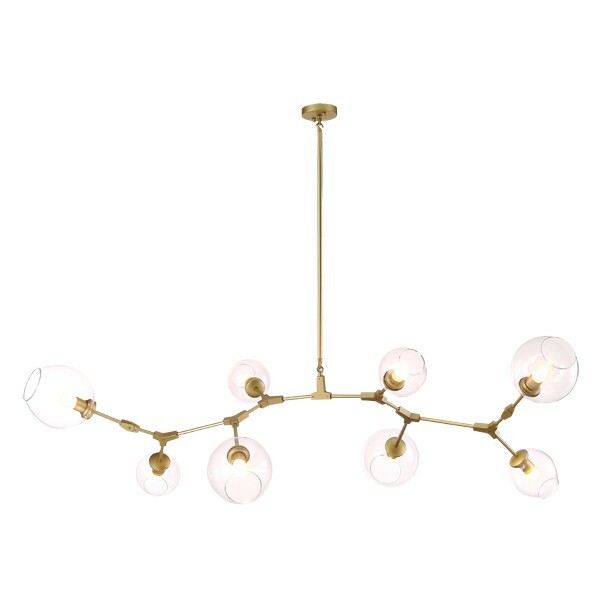 The gold matt branching bubbles pendant light looks great in any airy open room or in any room that features other gold accents. The glass on the gold matt version of the light is cler glass. Each pendant light is made up of four small and four large shades. The large shades have a diameter of 200mm and the small shades have a diameter of 150mm.